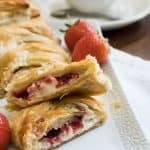 Easy Strawberry Cream Cheese Danish - Ready in 30 Minutes! 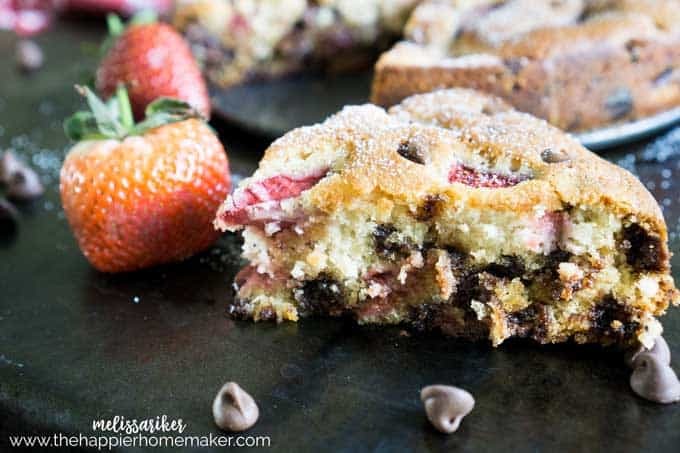 You may have noticed a trend here on the blog lately-with summer arriving I’m making everything chock full of strawberries! I can’t get enough of them! Recently I wanted to make a special Sunday breakfast for my family but honestly, pastries can be exhausting! 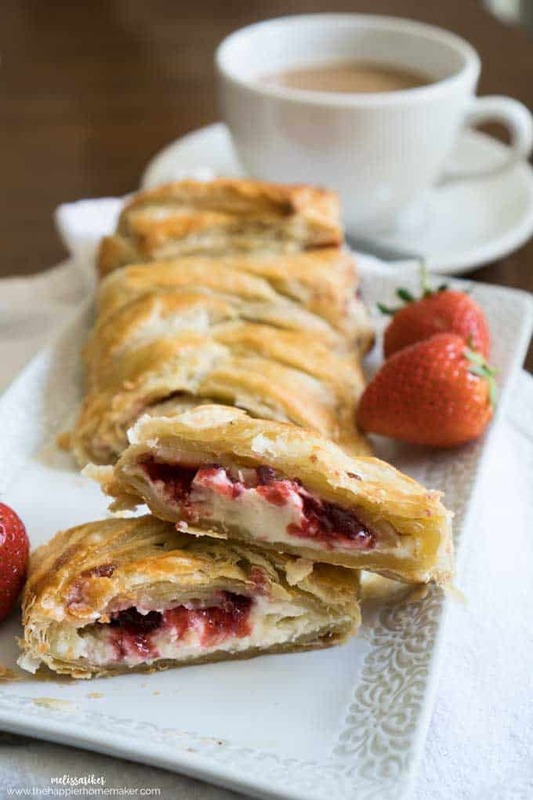 I love a shortcut so when I made this flaky, delicious Strawberry Cream Cheese Danish I had to make it easy and do-able for other busy families like ours! 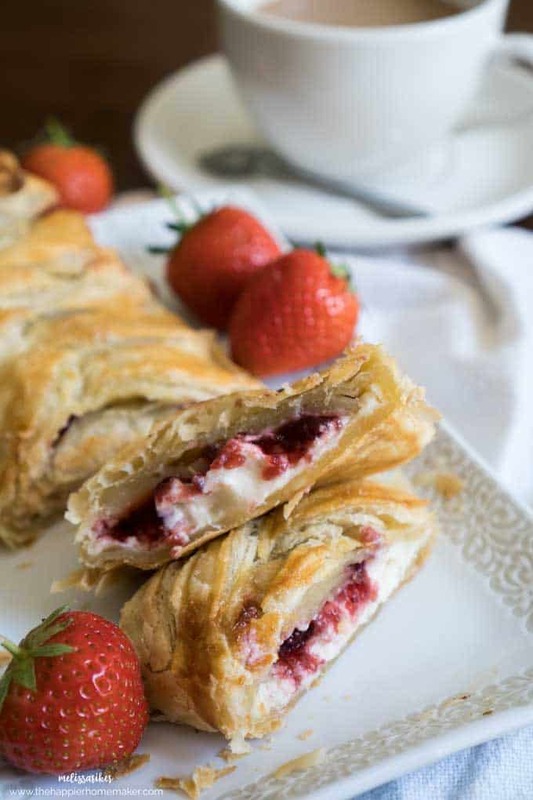 This danish whips together in just five minutes and bakes in 20 minutes, so you can have it on the table in no time! 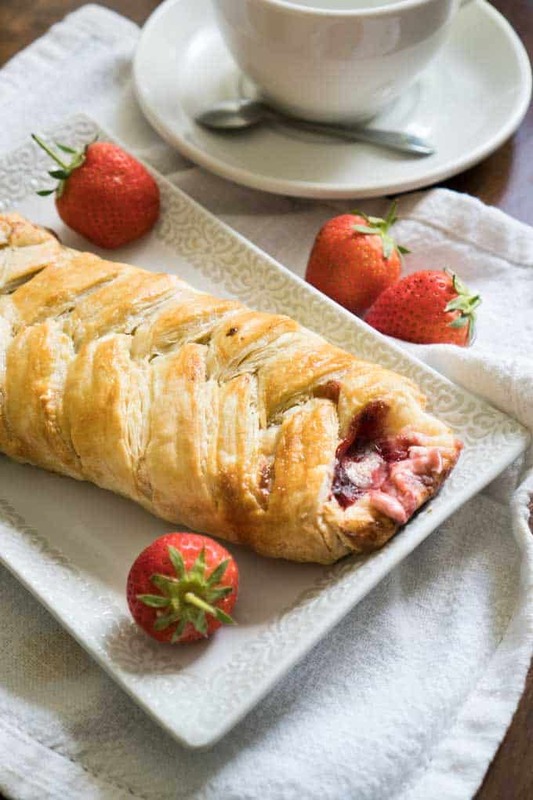 The secret to this danish is using puff pastry dough-thaw it overnight in the fridge and it will be ready first thing in the morning. 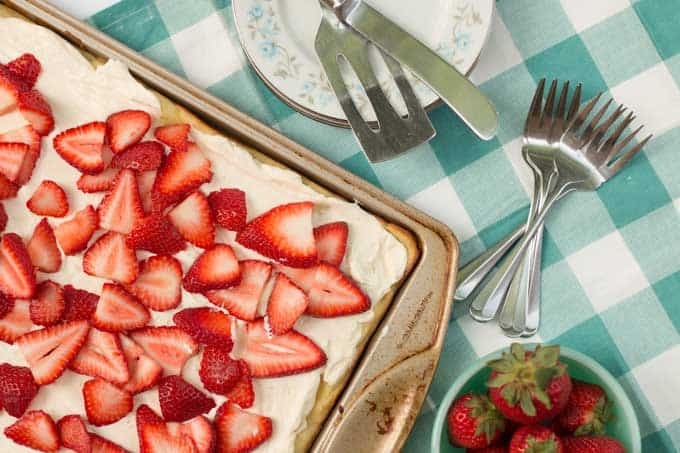 Using strawberry preserves also makes this recipe super fast and easy-you can use homemade or store-bought, it’s up to you! Just look for jam that still has some texture and strawberry chunks in it, or you could chop up strawberry pieces to put inside as well. 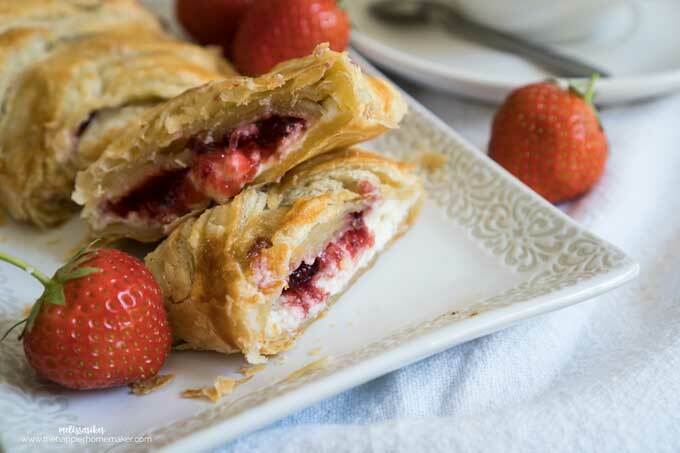 Deceptively easy to make, this strawberry cream cheese danish is perfect for entertaining and takes just a few minutes to make! Preheat oven to 400 degrees. Spray a baking sheet with nonstick spray. In a medium bowl mix cream cheese, powdered sugar and vanilla until thoroughly blended. Set aside. Lay puff pastry sheet on the baking sheet, use a knife to cut 1″ slices into the outer thirds of the dough as shown in the video. Spread cream cheese mixture onto middle section of the dough. 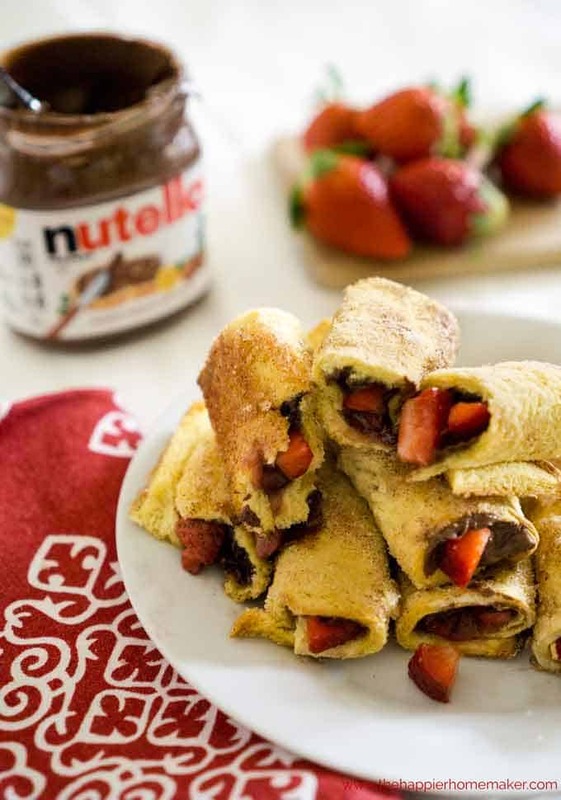 Top with strawberry preserves. Starting at the top fold the dough strips across the middle section at a downward angle, alternating sides as shown in the video. Beat together egg and water and use a pastry brush to coat the top of the danish. Bake for 20 minutes or until golden brown. Serve warm or cold. Refrigerate up to three days.